SR Labs LLC., the largest feed handler vendor in the financial markets, has announced its support for the IEX Top of Book Quote Feed (TOPS). IEX TOPS is one of 5 feed handlers that SR Labs has released in Q1 2015. In addition to building the software feed handler product, SR Labs also plans to offer delivery of the data through their proprietary low latency consolidated market data feed, SuperFeed™. TOPS is a direct data feed that provides aggregate best bid and offer quotes for displayed stock orders on IEX’s order book, using the IEX Transport Protocol (IEX-TP) and delivered in real time. IEX’s displayed quotation is not a protected quotation under Rule 611 of Regulation NMS, which means it will not be disseminated through a National Market System Plan Securities Information Processor (SIP) – it will only be available through TOPS. 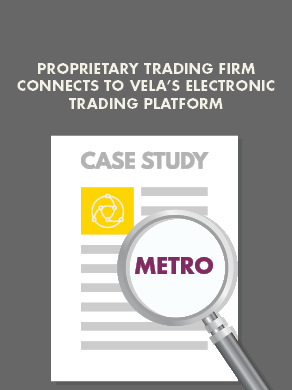 TOPS helps traders identify available interest in IEX without attributing any quotes to individual subscribers. “SR Labs are delighted to support this new data feed, and continue to build on our portfolio of products connecting our clients to important sources of liquidity. As ever SR Labs’ roadmap is client driven, and it is no surprise the IEX TOPS feed has been in popular demand in 2015” says SR Labs SVP Product Management, Bill Cadmus. This feed handler will be a further addition to SR Labs’ growing portfolio of feed handlers already on offer, now approaching a total of 500 different feed handler products.